The first lot of six indigenised and upgraded Bofors artillery guns was handed over to the Indian Army by the Gun Carriage Factory, Jabalpur, on April 8. 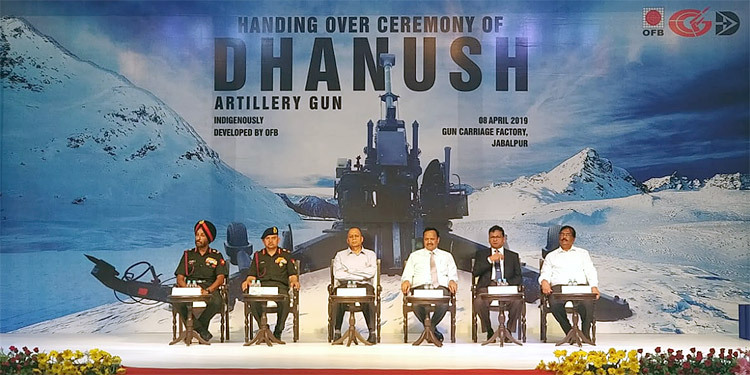 The indigenised Bofors gun has been christened Dhanush. 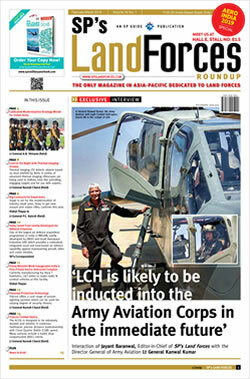 The Army has accepted the gun for induction after extensive user trials. 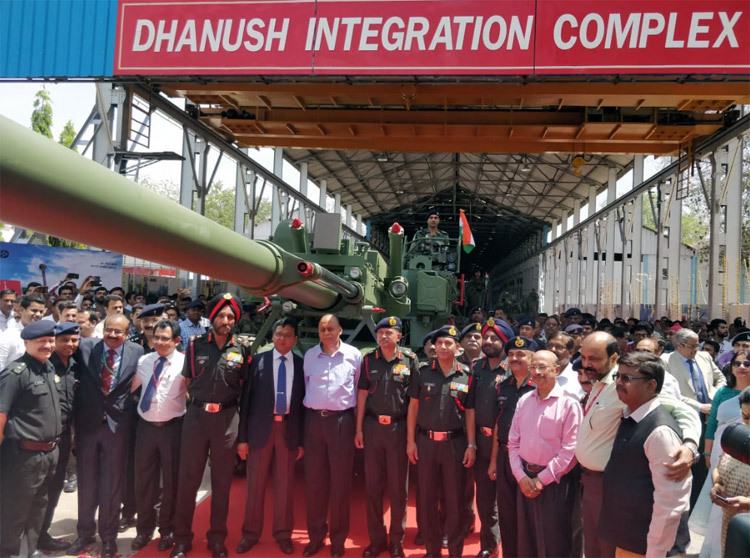 Now that the capability to produce this gun indigenously has been demonstrated, the Ordnance Factory Board (of which the Gun Carriage Factory is a part) has received the go-ahead from the Ministry of Defence for the bulk production of 114 Dhanush howitzers. India had so far not availed of the transfer of technology (ToT) element from the controversial Bofors FH- 77 B02 gun deal of 1986 to manufacture the gun locally. 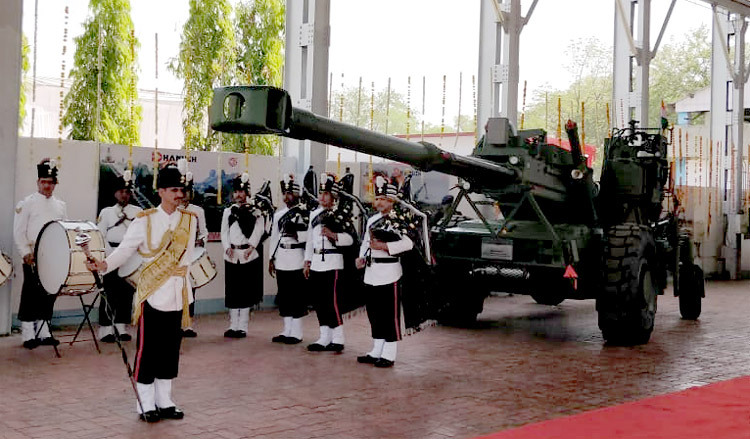 Secretary Defence Production Ajay Kumar, while symbolically handing over the howitzers to the Army, hailed the occasion as a "glorious moment for the Gun Carriage Factory and the Ordnance Factory Board". The specification of the original Bofors gun is of 155 mm, 39 calibre. The indigenised Dhanush is of 155 mm, 45 calibre, with a longer barrel and a greater range. The ToT details from the 1986 Bofors deal have been combined with indigenous knowhow to produce the Dhanush, which also has the shoot and scoot element. A Ministry of Defence statement put the indigenous content of the gun at 81 per cent. This will go up to 91 per cent by the end of 2019. Director-General Artillery, Lt General PK Shrivastava and Commandant School of Artillery, Lt General RS Salaria accpted the guns on behalf of the Army.